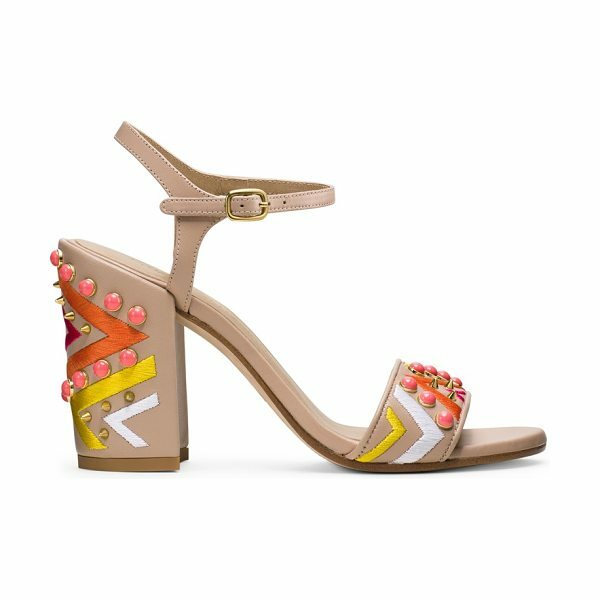 Single-sole block heel sandals are reinvented by way of multi-hued embellishments and a unique graphic design on the toe strap and heel. Crafted from luxe calf leather and available in three haute hues this statement style is finished with a slim ankle strap for an elongating effect. Wear with everything from cropped flares and a ruffled top to an A-line skirt and a sleek poplin shirt.